Made from high quality card, the tags tap into the trend for all things marble, with a grey and white background offset by smart gold and black lettering. 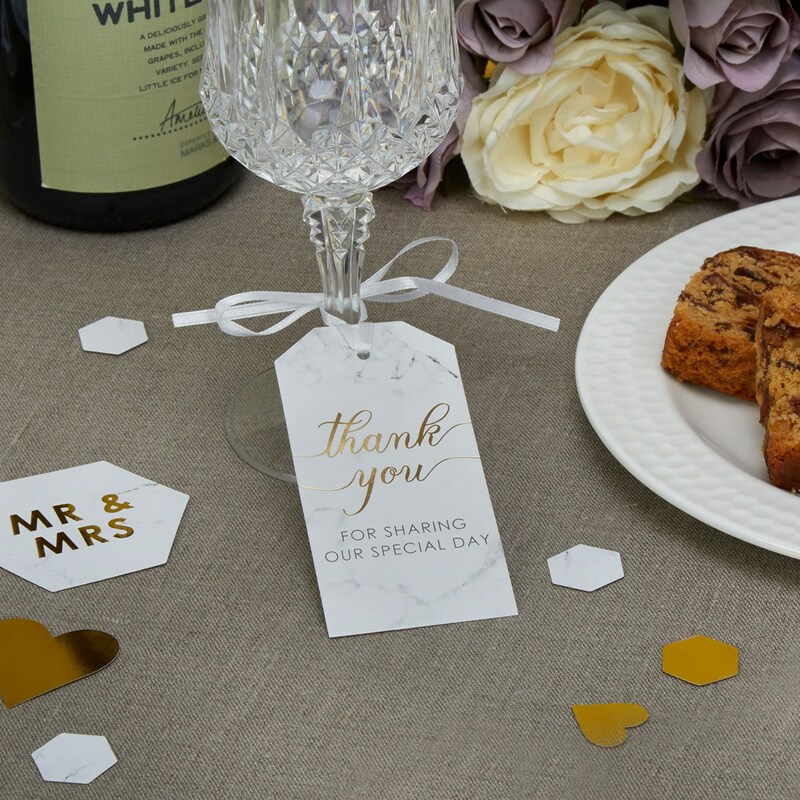 Attach to your wine glasses, napkins or flower arrangements, for example, or personalise your tags with names and attach to chairs to create an alternative to standard place settings. Each pack contains 10 Large Luggage Tags.